For most business owners, the idea of setting up a pay-per-click campaign can be daunting. Running a solid campaign on a DIY basis is incredibly difficult, and it can often be difficult to determine which agency should be handling your ad management on a monthly basis. 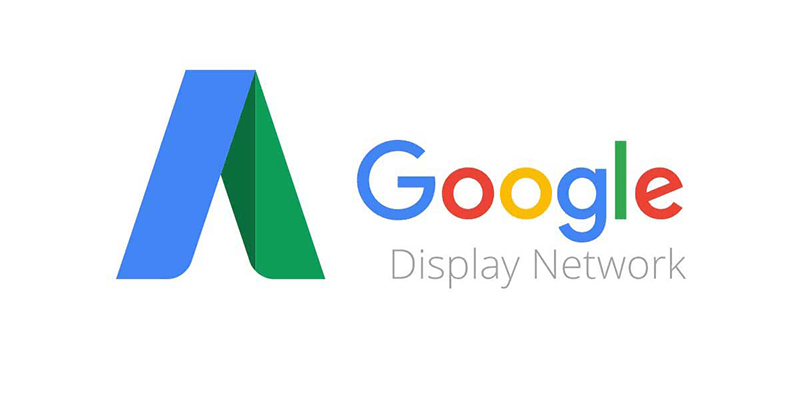 To make matters even more complicated, Google offers two totally different networks on which to run business campaigns: Search and Display. One of the easiest and most common ways to blow through a PPC budget with a minimal return is to run both of those versions simultaneously with the same approach. It’s like trying to fit a square peg into a round hole – it just doesn’t work. They’re made to work entirely differently. Trying to figure out which network you should use can be a formidable challenge. Here are some good point of differentiation to determine which fits your business needs more effectively. When most people think of PPC, they tend to think of the Search Network. Those are the ads that show up in the top of the Google SERP page when a customer types in a keyword and starts a search. 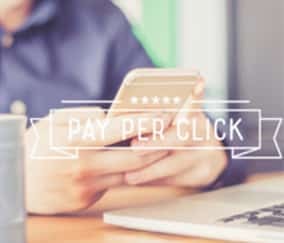 We’ve talked a good bit in this blog about how Search PPC works, how bidding should be conducted and what makes for a successful campaign in terms of Search, so I won’t reiterate all of those specifics here. 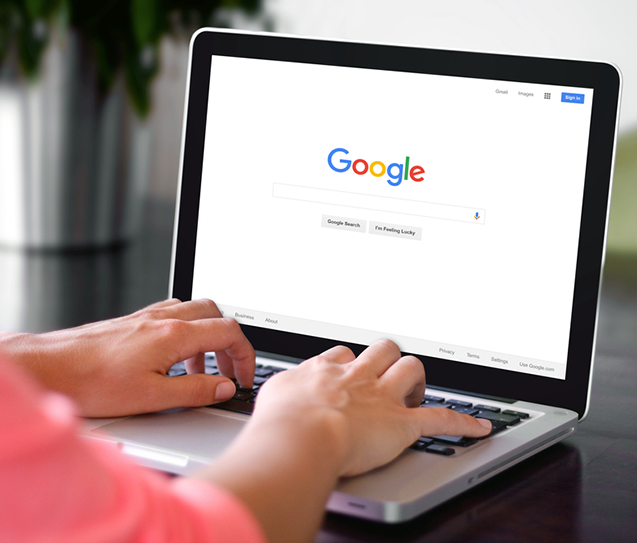 However, the thing to know about the Search network is that it’s tailored to customers who are actively searching for the keyword they’ve typed in. In essence, these are customers that are already interested, motivated and further down their decision-making process. To those who have an older-school mentality, think of Search Ads as large ads in the printed yellow pages phone book (yeah, remember those things?). The only time a customer would see an ad in the yellow pages was if they had gone to the phone, opened the drawer that they kept the phone book in, turned to the section they wanted and started looking for a business to call to fit their needs. Search ads work in much the same way because they’re only connecting to the same type of customers. You have a small marketing budget: If you’ve got a relatively restricted marketing budget, Search can be great for your business. It’s a great way to target very specific customers, connect with them when they’re most motivated, and only be charged for the traffic that you directly connect to your website. You could have hundreds of potential customers view your ad every day (and, in most cases, you likely will), but you’re only charged when those motivated customers actually click on your ad and investigate you further. You offer a need-driven service or product: If you’re a business that specializes in something that is a very high-necessity type of service (for instance, you’re a bail-bondsman, emergency roofer, 24-hour plumber, tow truck company, etc. ), the Search network is an awesome way to put you at the top of the Google search results and generate leads from highly motivated customers. Nobody wants to let their house get rained into or leave themselves stranded on the side of the road, so those customers are less likely to shop around. Even if they’ve never really heard of your business before, they’re likely to go with the first legitimate business option they find. You’re already a well-known business: If your local market already knows your name and your business, Search is a great option. It puts you in front of customers when they’re highly motivated and because of your already-established brand awareness, you’ll have a great conversion ratio. In contrast to the Search Network, the Google Display Network is designed to achieve an entirely different result. While Search puts you directly in front of customers searching for your services, the Display Network puts your banner ads across third party sites. While you can specific placements to some degree, the end result is that your ads are going to have a much lower conversion rate. That’s because metrics and goals of a Display campaign are drastically different. With Search, you want to monitor clicks and conversions. With Display, the focus has to be more on impressions. You’ll never have great click-through-rates on a Display campaign because customers are so much less likely to leave the website and content that they have sought out to see your website. Think of Display more like a billboard on the highway. You hardly ever see a billboard and take out your cell phone to call that business the instant you see them. However, when you’re ready for that type of service or product, you’re more likely to think of those businesses because you’re familiar with them. In this sense, Display is really more about branding and creating an awareness of your products and services. In fact, the Display network is one of the best mediums to use when trying to promote and expand your brand. All in all, the network reaches over two million websites and over 90% of all online traffic. While the customers you’re in front of may not be in active shopping mode, they are plentiful and can be easily accessed. You’re trying to grow brand awareness: Let’s say you’ve got a new product or service that doesn’t get a lot of search volume. The Display network is a great way to help you put your name out in front of your potential clients, even when they’re not ready for you quite yet. Your service/product is very appealing: This one should be simple, but there are some services and goods that generate interest even when a customer isn’t already thinking of it. For example, if you’re a high-end steakhouse with great content in your ads, you can probably generate legitimate traffic through Display by showcasing your juicy, well-prepared steaks. Your sales process is a little bit longer: Businesses who have short sales processes and fall into that “emergency service” category are much more likely to succeed in the Search network. If you’ve got a product or service that requires a good bit more finesse, Display is a great way to build familiarity and promote yourself from a position of respectability. You could even include a remarketing campaign (covered in previous blog posts) that can help redirect possible customers back to your site and stay top-of-mind throughout the entire sales process. Whether your business needs Search or Display, both can be leveraged for maximum effectiveness to fit your business needs. Determining which one works best will help you achieve the best return on investment and generate the most revenue possible. For additional help, feel free to reach out to the experts at Citywide SEO for a free consultation.